When the new iPhone 5 was announced, I immediately wanted one. I’m not an Apple computer person, but when it comes to their phones and other devices, I’ve found them to work well for what I need. Part of my job involves purchasing and setting up company phones for employees. I was curious to know how my new iPhone would hold up to my previous model (4s) as well as another popular smartphone, the Samsung Galaxy S3. What I found might surprise you (I know it surprised me). After comparing it to my iPhone 4s, the tests proved the iPhone 5 was superior in many areas including processor speed and battery life. Once I compared my iPhone 5 to the Samsung Galaxy, I realized Apple has a long way to go to get the iPhone 5 up to speed in a few areas including toughness and battery life. Apple claims the processor is twice as fast in the new iPhone as it was in the 4s model. To test this out, I put both of my phones next to each other and had them open up Angry Birds. My iPhone 5 was noticeably faster. I also did a test searching for Disney through Safari. My iPhone 5 once again left my 4s in the dust. The camera shutter also appeared to work a little faster than in the 4s. The new lightning connector has received a lot of attention because of how drastic the change is. Every accessory you own for your old iPhone will no longer work with your new one. If you’re new to the iPhone, you’ll have to wait a little bit before manufactures can catch up and make accessories to include this new adapter. To top it off, the adapter that takes it from the new connector to the old 30 pin costs $30 and it won’t support ‘iPod Out’; a feature that allows you to control your device through the accessories controls (such as your dashboard or stereo system). On the upside, my iPhone 5 appears to charge much faster than my 4s. 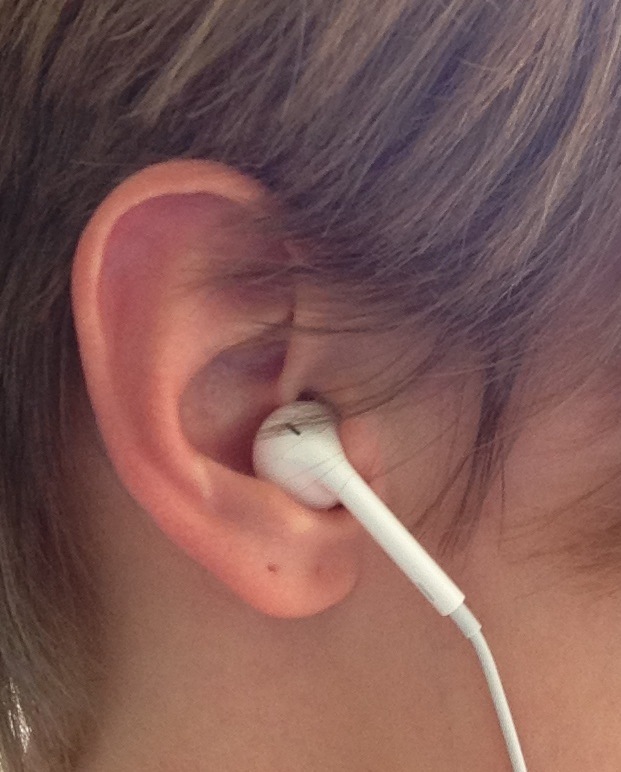 The earphones are a huge improvement to the older ones. The sound quality is not exactly Bose, but at least they stay in my ears and don’t hurt after an hour of wearing them. The old design was so bad, I wouldn’t use them for backup earphones (but being the headphone junkie that I am, I never threw them out…). 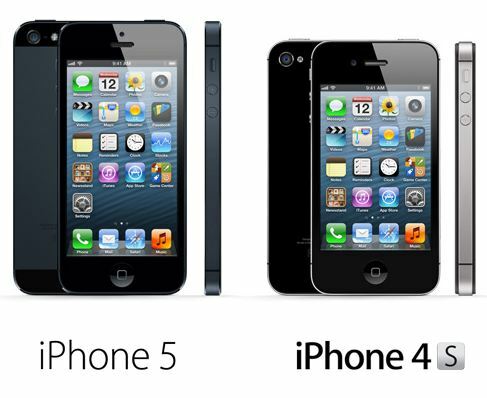 What do I miss about the iPhone 4s? So far, the only thing I’m missing is the old connector. I have around 10 cables that I’ve accumulated over the years and no matter where I am, I have a spare cable hidden somewhere. Since the iPhone 5 uses a new lightning connector, now I have to purchase an extra cable for my car and office. The upside to the new connector though is that it’s smaller and reversible (anyone who’s ever plugged their phone in to charge in a dark room knows how valuable this is). How do the specs compare to the Samsung Galaxy s3? The first thing that surprised me about this comparison was that under my Verizon account, the iPhone 5 is the same price as the Samsung Galaxy S3. I was expecting the price to differ by at least $100. When comparing the 4s, 5, and Galaxy s3 on Verizon’s website, the major hardware difference I saw reported was the standby and usage time. The iPhone 5 has a reported standby time of 225 hours. 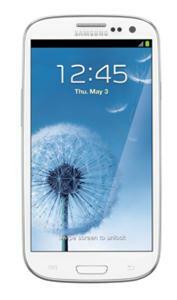 The iPhone 4s reports as having 200 standby hours and the Galaxy S3 has a WOW factor of 400 hours. For usage time, both the iPhone 5 and 4s report back at having eight hours and the Galaxy s3 reportedly has fifteen hours! Wow…I don’t expect that kind of battery life from any phone. I was definitely surprised to see that the iPhone 5 is lighter than the Galaxy s3. I’ve held my mom’s Galaxy phone before and that sucker is pretty light. Another hardware difference between the two is their processors. In various GeekBench tests, the iPhone 5 with its A6 chip beat the Samsung Galaxy s3 with the Qualcomm® Snapdragon™ S4 Processor with 1.5 GHz Dual-Core. Now, just because the GeekBench tests says that the iPhone 5 beats Samsung Galaxy s3, that doesn’t mean you will experience the same thing. The iPhone 5 also lacks in memory (1GB vs Samsung’s 2GB). So far, my only complaints are that the phone is still too fragile and there is still no way to add more memory. It’s for that very reason I never take mine out of its protective case. I’m terrified that I’ll drop it and my precious will be gone forever. I wish I could put a memory stick in when I start to run out of space, but that is still a pipe dream with the iPhone. On the upside, it forces me to keep my phone clean of anything I don’t absolutely need to have. Why do I still use Apple if there is a better phone out there? I’ve loved Apple products since I was given my first iPod. My love continues to grow with every song I buy and every app I purchase. While many argue that it’s not the best out there, it’s the only one I’ve tried and liked. On top of that, I’ve had great experience with their customer service. If I ever had a problem with one of my devices, I took it in and 99% of the time, they replaced it with minimal time on my part. To me, that kind of customer service is worth the extra money on the device. I’ve had it for three weeks now and unlike when I got my first iPhone, the honeymoon with this one is pretty much over. The new features are still nice, but the newness of it all has worn off much faster than it did with my previous iPhone. If it weren’t for having everything Apple in my house, it wouldn’t take much for me to switch to the Samsung Galaxy S3. Like all reviews though, you are the only one who can determine if the iPhone 5 is worth the upgrade cost. This is just one opinion in the sea of millions. ← MythBusters Tour — Best Geek Night Ever!